In the current climate of a 24-hour economy, it is absolutely essential that your business IT systems are running all day – and all night. More employees are working from home, and this is great for a modern business as better flexibility for your staff means a happier and more productive staff overall. With high-speed data links becoming more affordable by the day it can now be seen as normal to be putting in a few hours in the evening. But what happens when your IT support stops at 5 pm, does your IT department go home or your outsourced partner shut up shop for the evening? This could be a disaster in the waiting. You have that important sales call in the morning and decide to finish the proposal at home with a glass of wine. When you arrive home you find your office network is down or not reachable remotely. What do you do? Go back to the office and reboot everything and hope you do not break something or make things worse? Here at EvolvIT, we provide three levels of out of hours 24/7 support for our clients in Bristol and the South West. Firstly all VirtualIT clients have direct mobile numbers for an absolute emergency response, to be used for critical support that above all else must be fixed as soon as possible. Secondly, all our VirtualIT clients are monitored on a 24/7 basis by our in-house monitoring systems. This generally means we know and are already fixing any known problems on your network. Finally, we have a dedicated out of hours IT Support number*. This dedicated number will get you direct access to an engineer any time of day or night. 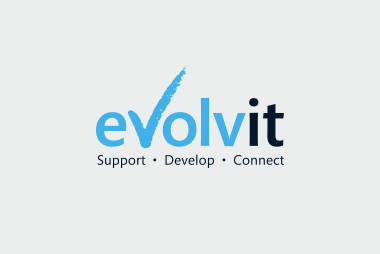 We go that little bit further at EvolvIT to ensure that your systems are running smoothly every minute of every day, 7 days a week, 365 days of the year. If you are interested in the services we can provide please contact us, referrals and testimonials from clients that use all of our range of services are available upon request. *Dedicated number available on request and not a part of the standard VirtualIT contract.